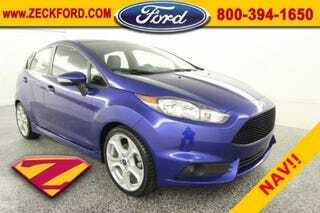 As prices on Fiesta ST's start to come down, my mouth starts to water. The possibility that I could own one of these cars becomes more and more likely. However, each time I do one of these AutoTrader search, I always have a second thought. I could buy an STi for that price, which seems to be a lot more.....car. Sure, it's older and will have more miles, but its an AWD 300hp rocket. As long as it doesn't have the spoiler, it doesn't even look dumb. I also think the STI will hold value much better than the FiST, provided they don't stop producing Fiesta ST's.